Photo by Bev Dartnall, no reproduction without permission. Pebble Mill was the home of BBC multicultural programming for many years, including the Asian Programmes Unit, and the Afro Caribbean Unit. 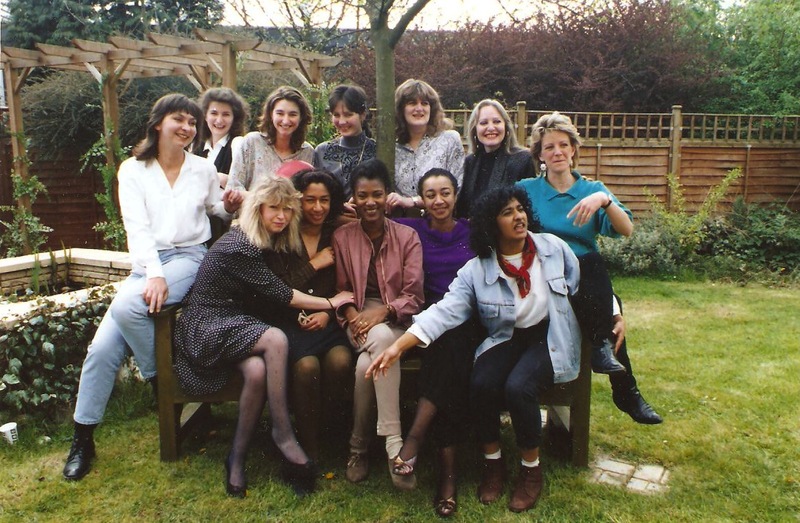 The Afro Caribbean Unit made programmes like the weekly magazine series: ‘Ebony’, which went out in the 1980s, presented by Vastiana Belfon amongst others. (Front L-R)Jo Mainwearing, Anna Umbima, Vastiana Belfon, Rosemary Boateng and Mary Gregory. We made three major series for BBC2 during the 1990′s – ‘Black Britain’, ‘Black on Europe’ and ‘Africa – Out of Darkness’. Director Sharon Pemberton is on the back row, third from the left. We made three major series for BBC2 during the 1990’s – ‘Black Britain’, ‘Black on Europe’ and ‘Africa – Out of Darkness’. All ground-breaking stuff, although I don’t think I realised it at the time. Thanks very much for adding that information. I’ve added your comment into the original post, so that all the information is there.